Ashley Crowder is a driven visionary who leverages her engineering background to guide VNTANA’s overall direction and technology development. She co-founded VNTANA in 2012 with the goal of allowing people to be in multiple venues at the same time. Since then VNTANA has created the first scalable, affordable and interactive hologram system, which has been used by major brands including Microsoft, Mercedes-Benz and Pepsi. Prior to co-founding VNTANA she graduated from USC with a bachelors and masters in engineering and gained valuable manufacturing experience at Gulfstream, Northrop Grumman and BP. She also gained experience in event production at MTV Networks in Los Angeles and INCA Productions in London, planning events to be executed in multiple countries. 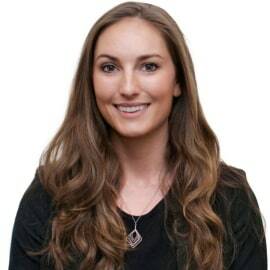 Ashley has been a speaker at TEDx Venice, the World Economic Forum’s Global Growth Companies & Technology Pioneers event in San Francisco, CA, U.S. Chamber of Commerce, the Network for Teaching Entrepreneurship Los Angeles event, The Montgomery Summit, Siemer Summit, Digital LA, and others. This Spring, Ashley will be featured as one of USC’s leading engineering CEOs of 2016. Ashley is a part of the Microsoft Early Developer Program along with the Microsoft Bizspark Plus program.